Defense levels and armor not absolutely needed but help survival. To run, have rings of wealth(4) and brass keys in your bank or ring of fortune equiped. 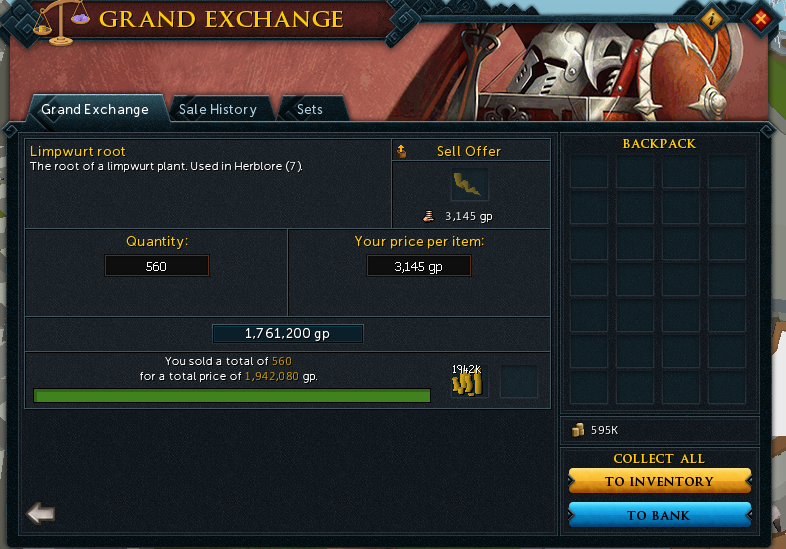 Start with a brass key in inventory and equipment tab open (see images below). Bot starts at well of goodwill. Often stuck outside the door. It won't open the door, it will only click on the hole. Currently, since the script is on the open sdn, you'll see two copies in the sdn. until I can take them off the open sdn use v2. Can you post your setup? 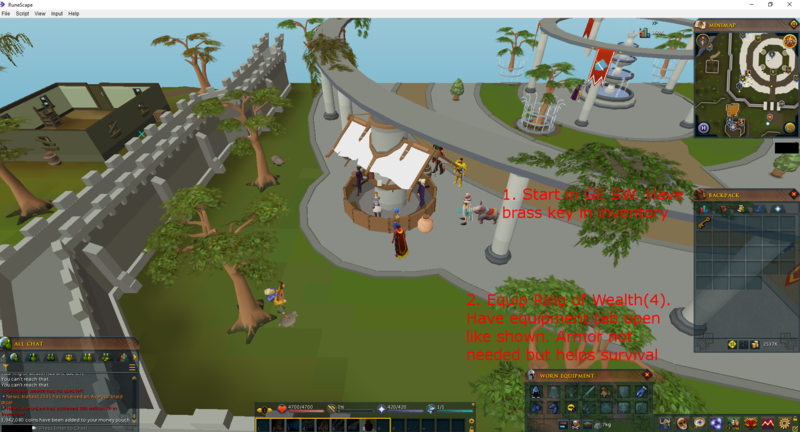 The bot uses the ring of wealth to teleport to the bank. See the instructions in the images in the original post. 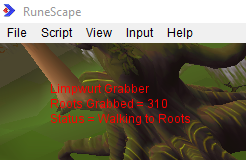 Hi can you update the Limpwurtroot Grabber? Updated. The banking issue should be fixed now. I don't currently have a members account to check the bounds of the ring of wealth so I guessed at some of the values. It should be fine but if you have any issues just post them and I'll be happy to fix them. Will this work with ring of fortune instead of ring of wealth? Will not work at the current time but it will be very simple to update the script to do so. Just have to swap out a few ids. I'll fix it tomorrow so that it can use ring of fortune. Hey man :) I fear that the script is having some issues with the "walking" option; sometimes it forgets to open the door and gets stucked in the house when "going to bank", and just stays there clicking the minimap like it was already outside the house (when i moved the camera it found the door and continued with the task). It also have stayed standing in front of the resource dungeon door when "going to roots", like it couldn't find it (pretty much like the first issue that I mentioned 'cause when I moved the camera it found it and entered the dungeon to collect roots). I think there might be a glitch or something, when I use it for a good 10 minutes it works fine and then it stops and just stands there not doing anything.